For 23 seasons, the RCA Dome was the home of the Indianapolis Colts and stars such as Peyton Manning. Prior to moving to Indianapolis for the 1984 season, the Colts called Baltimore their home. The Colts had played in Baltimore since 1953 at Memorial Stadium, that they shared with the Baltimore Orioles (MLB). Prior to the Colts decision to move to Indianapolis, the city already had a dome stadium under construction in 1982. The city decided to build the stadium because of its adaptability to accommodate a variety of events, including football. Meanwhile in Baltimore, the Colts were dissatisfied with the conditions of Memorial Stadium and decided to move to Indianapolis after the 1983 NFL season. Originally named the Hoosier Dome, grand opening ceremonies took place on May 3, 1984. The Indianapolis Colts first game at the RCA Dome was on September 2, 1984. The RCA Dome was very similar to the Metrodome in Minneapolis. The roof of the stadium consisted of Teflon coated fiberglass. Two tiers of 60,000 seats circled the entire Astroturf playing field. 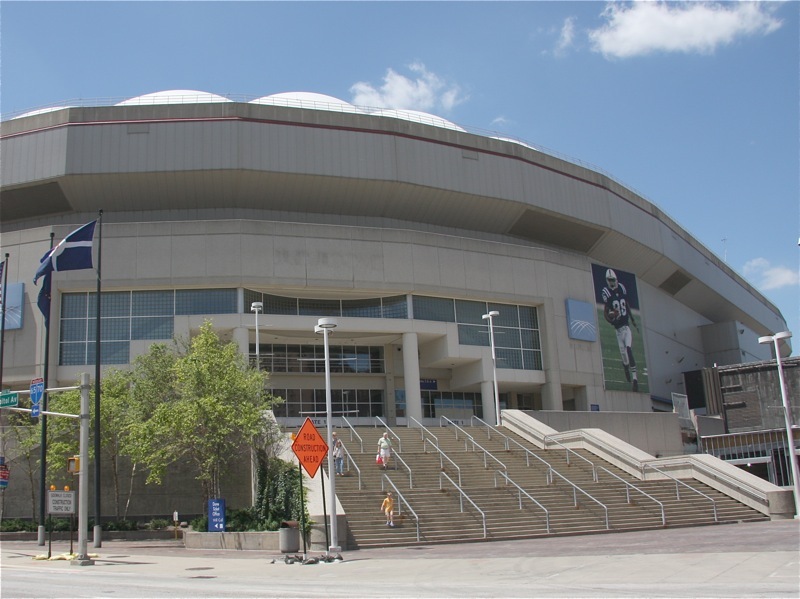 In 1994, RCA bought the naming rights to the stadium, thus it was renamed the RCA Dome. The RCA Dome was not built primarily for football, but for conventions and trade shows. Other than being the home of the Colts, the RCA Dome hosted concerts, large banquets, religious assemblies and various sporting events including the NCAA Final Four. 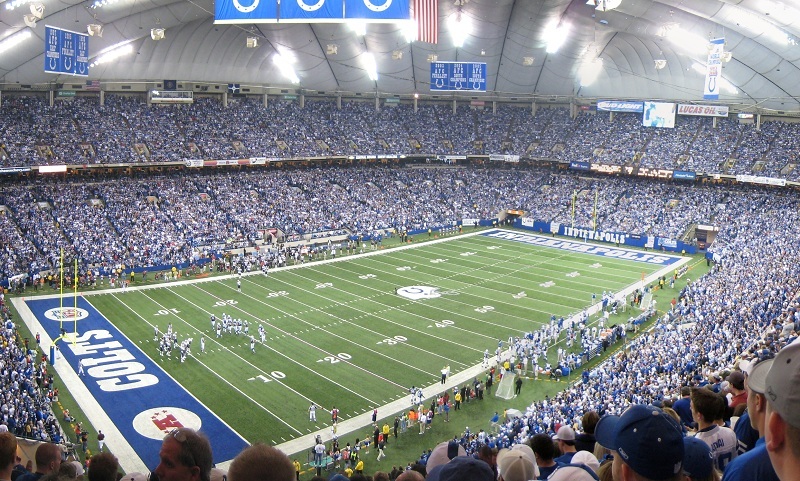 After the 2004 season, the Colts announced that they would become one of the final teams to install Fieldturf and remove the Astroturf playing field. In December 2004, the Colts announced plans to build a new stadium in downtown Indianapolis. On January 13, 2008 the Colts played their last game at the RCA Dome, a playoff loss to the San Diego Chargers. The team moved into Lucas Oil Stadium in August 2008 and the RCA Dome was demolished on December 20, 2008.